U.S. put up $1 billion already to fight opioid crisis. But states failed to spend it. President Trump’s latest rant that drug dealers should face capital punishment fell flat in the face of new revelations on what’s going on with the fight against opioid drug overdoses and abuse that have become the leading killer of Americans younger than 50. It turns out that states have failed to spend hundreds of millions of dollars in funding appropriated by Congress to battle the abuse of prescription painkillers, potent synthetic versions like fentanyl, and illicit drugs like heroin. Politico reported that the Obama Administration, in the 21st Century Cures Act, passed by the Congress and signed into law by the president as 2016 ended, provided more than $1 billion over two years in grants to help states attack the opioid crisis. To be fair, state officials aren’t alone in struggling just to find reputable, qualified staff to hire for ramped up campaigns against drugs. State and federal programs also inevitably come up with red tape that takes time to untangle so heavy lifting can begin. The relatively short duration of this funding — two years, for now — also has made state officials wary of launching efforts that might go away quickly. President Trump’s preferred way of running the government, what analysts describe as thriving on chaos and using it as an organizing principle and even a management tool, isn’t conducive to thoughtful, effective figuring of ways — besides aggressive law enforcement responses alone — to dig out of a crisis that may kill 650,000 Americans in the next decade and that already has cost the nation since 2001 more than $1 trillion. In my practice, I see not only the significant harms that patients suffer while seeking medical services but also the damage that can be inflicted on them by dangerous drugs, including powerful and addictive opioids. We need to hold accountable, through our criminal and civil justice systems, the profiteers who have destroyed lives while promoting risky medications with false information. This may mean charges and lawsuits against Big Pharma, its executives, and sales people, but also doctors, nurses, hospitals, and health insurers, too. At the same time, as experts have noted, the nation can’t arrest its way out of its opioid mess. Those in real pain and those addicted and declining due to prescription painkillers, including fentanyl, and illicit drugs like heroin are in dire need of medical services. Congress just increased to more than $3 billion the nation’s funding to combat opioid abuse. That sum still might not be sufficient, critics say, and if money continues to go unspent and leadership is lacking, the outlook for success in this fight isn’t good. Trump’s poor vetting of his Administration’s leaders already has meant that two top health officials were forced to quit due to their disgraceful failure to separate their own interests from those of the nation and the American people. 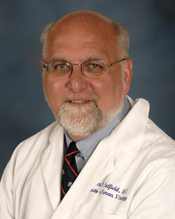 Now comes Dr. Robert R. Redfield (photo above). He’ll be the new head of the respected Centers for Disease Control and Prevention — a key federal agency in any campaigns against the opioid crisis. He is a leading HIV-AIDS researcher and proponent of medication-assisted therapy for addiction. His new appointment, which does not require U.S. Senate hearings or confirmation, also raised eyebrows because Redfield has been dogged with questions about his earlier career research and views on quarantining infectious patients. Though he has run large clinical programs, some also fret because he hasn’t had the experience of running an agency the size of the CDC, with a budget of $7 billion and more than 12,000 employees working across the nation and around the globe on everything from food and water safety, to heart disease and cancer, to infectious disease outbreak prevention. We’ll wish him well. But we’ll all need to watch carefully to see if Redfield, Health and Human Services chief Alex Azar, Food and Drug Administration head Scott Gottlieb, and the rest of the Administration’s health officials can take evidence-based, effective steps to deal with the opioid crisis.